Just so you know: These pens were sent to me by Jetpens for review purposes. They were a fun surprise that perked up a kind of icky day. I have not been otherwise compensated, and I promise to tell it like it is. Last week was draining- lots of running around both days and evenings- and I was running on fumes by the end of the week. When I feel like this, the world goes kind of grey, and I just feel like sleeping. It’s dark by 7:30 pm which doesn’t help my sagging spirits. When I ripped open this little surprise package from JetPens, my mood instantly lifted. PENS! COLOR! Who needs to nap now?! Not me! 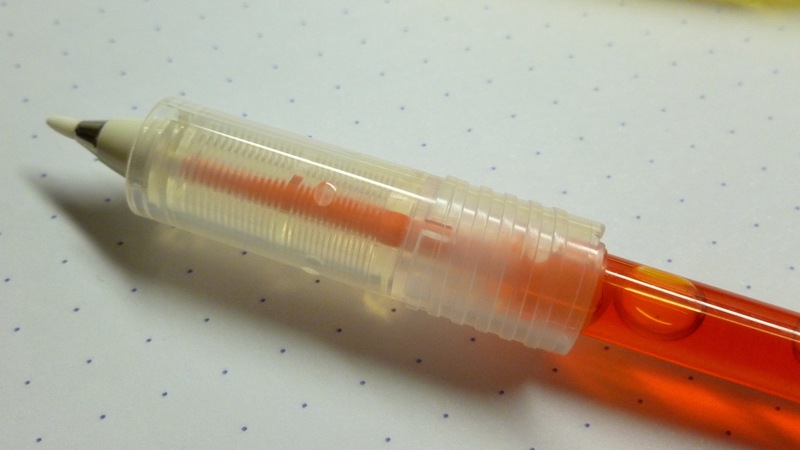 These adorable pocket-sized pens by Pilot truly POP with color. 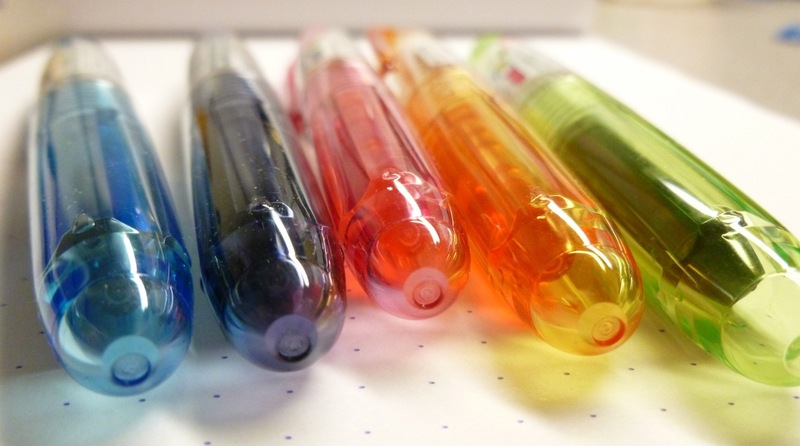 The Petit pen series comes in three styles and eight colors. I was happy to sample each style and five of the colors. Measuring 4.2″ capped and 4.9-5.2″ posted (depending on style), these pens are super portable and just really, really cute. Available as a Fountain Pen (Petit1), Mini Sign Pen (Petit2), and Brush (Fude) Pen (Petit3), there really is something for everyone. Whether you’re writing, lettering, drawing, illustrating, brainstorming, or just doodling (me! 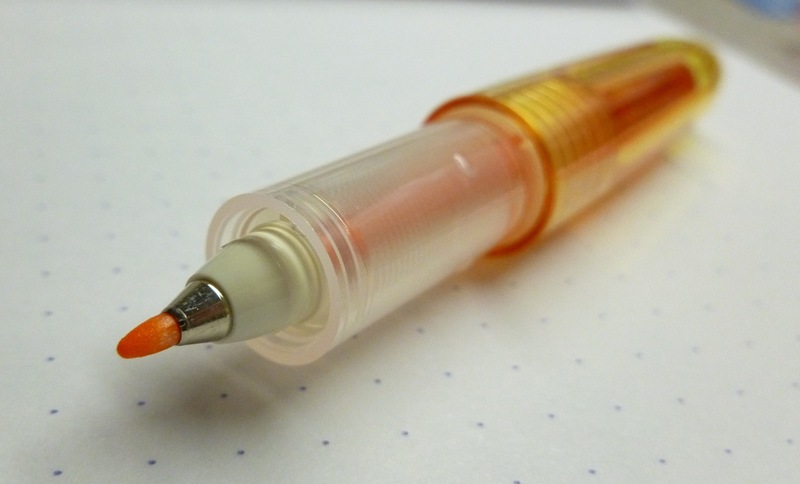 ), you’ll have a blast loading the pen with ink and putting it to paper. Cool, huh? 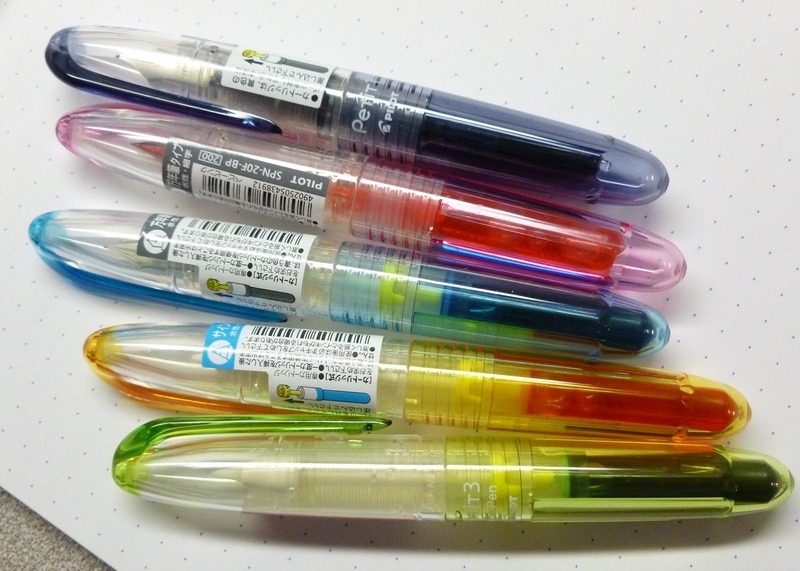 This fascinated me every time I inked one of these pens. Easily amused? Possibly. 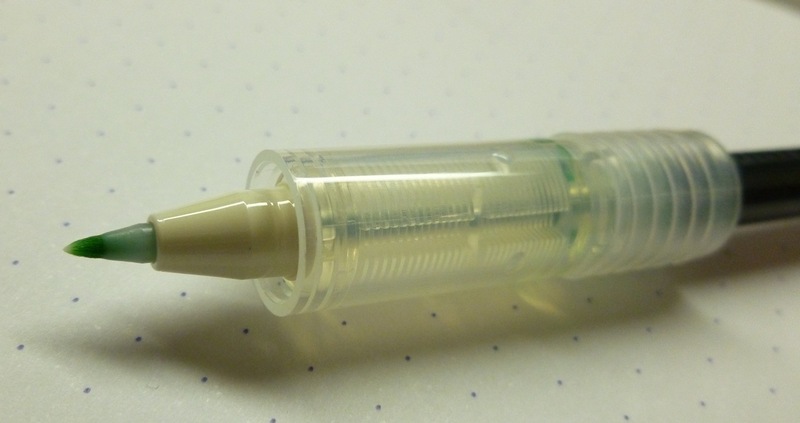 But I don’t own any other pen that lets me watch the ink travel from the cartridge to the nib. Apple Green ink on its way! 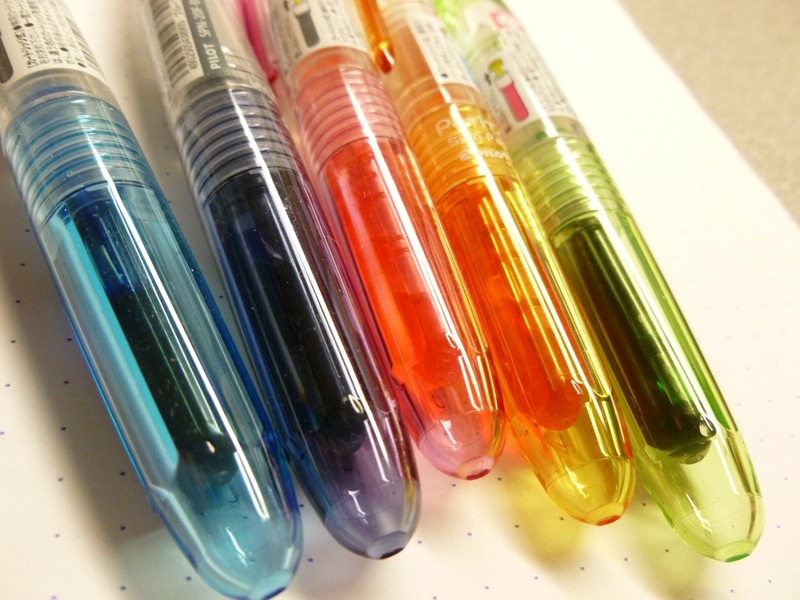 So the colors are cool, but how do they write? I tried out the fountain pen first (blue black) and LOVED it. 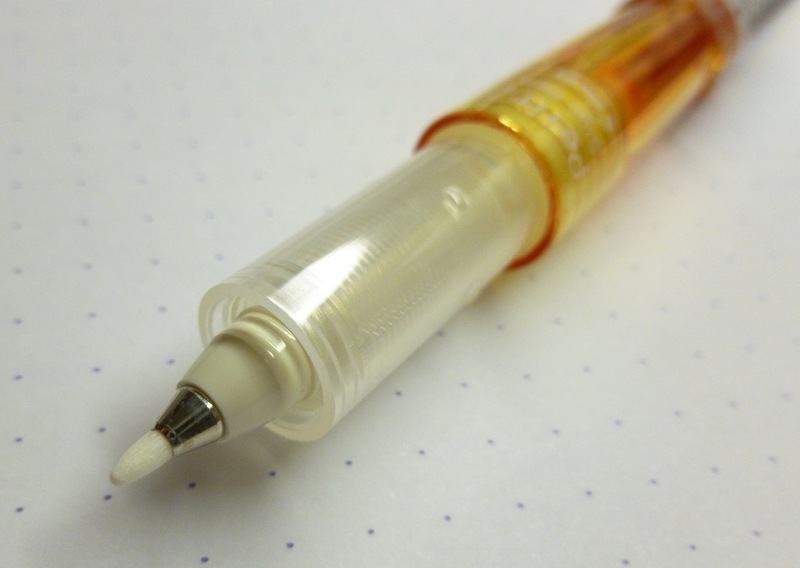 For such an inexpensive pen, it writes great- smoothly and solidly. Sure, the nib is plain and quite stiff, but the line is crisp and I haven’t experienced a single hard start or skip. The flow is generous, but not a gusher. Truly just right. 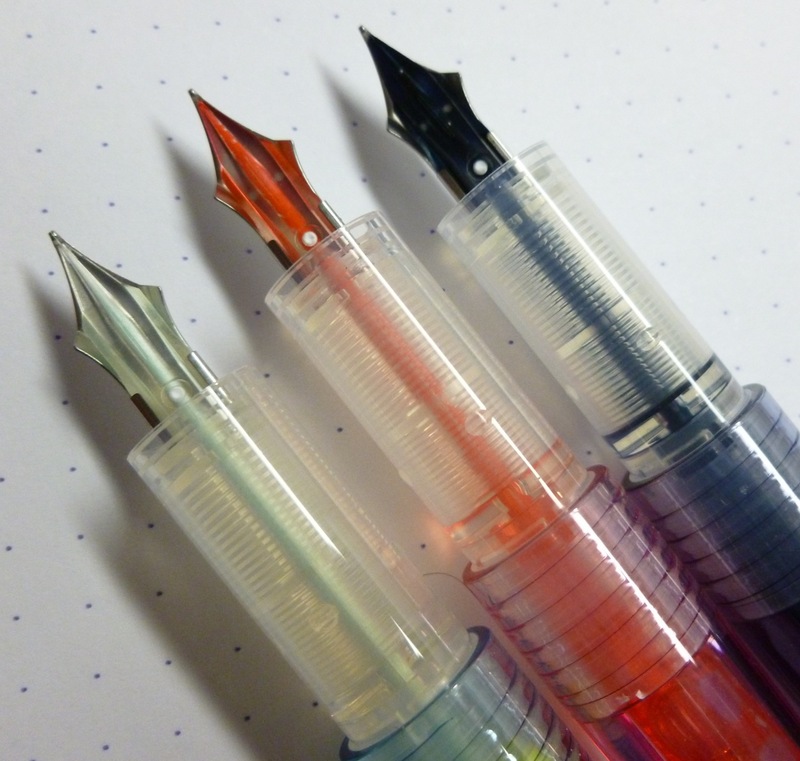 Though I’m partial to the fountain pens, the other two models are just plain fun. 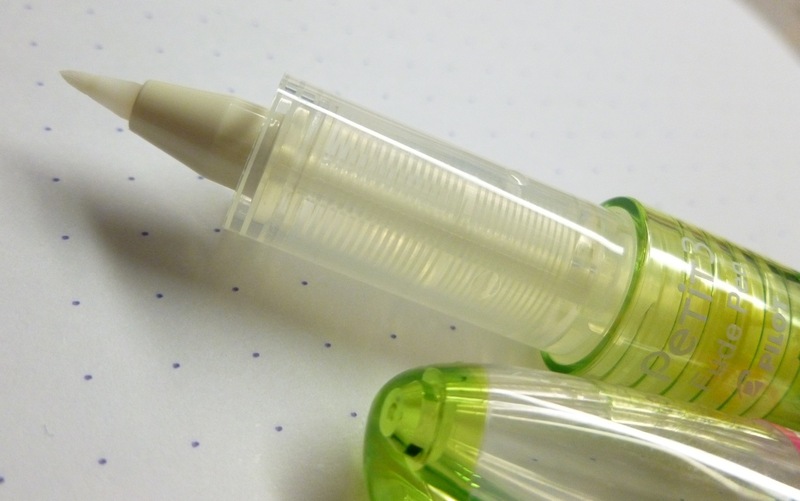 The Petit2 Mini Sign Pen has a firm felt tip that feels like it’ll stand up to a lot of use without going mushy. The Petit3 Brush Pen is a bit softer than the Petit2, but is still quite firm as far as brush pens go. It’s possible to get some line variation from the Petit3 model. I usually write quite small, but I can see myself using these pens to brainstorm or sketch; anytime I want to write a bit bolder. What else do I love? Well, the visible ink supply, the caps that SNAP on securely, and of course, the price. 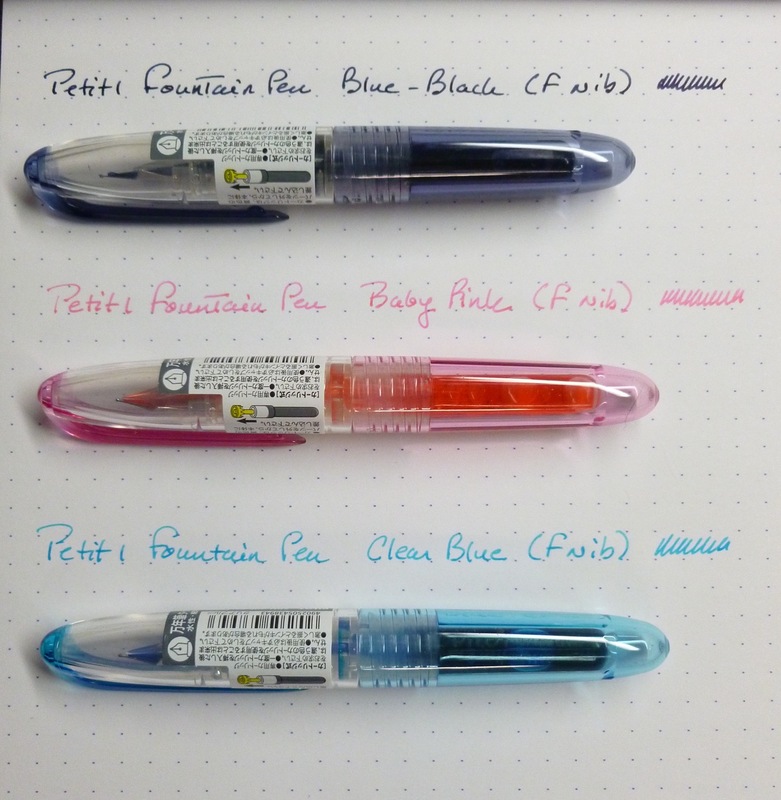 At $3.80 for Petit1 and $2.90 for the Petit2 and Petit3, the price is low enough that you can sample a few styles and/or colors without dinging your wallet. 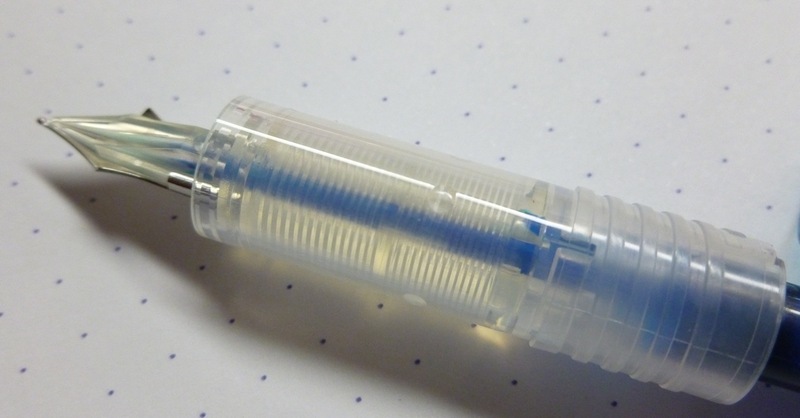 A pack of three refill cartridges runs $1.90, and the same cartridges fit all three pen models. Mix and match or color-coordinate. Have fun! In Episode 80 of FPtv, Tim Hofmann spoke about “penvangelism”- spreading the fun of fountain pens to others. Tim practices “penvangelism” by having some inexpensive pens on hand to give out to curious friends and acquaintances. 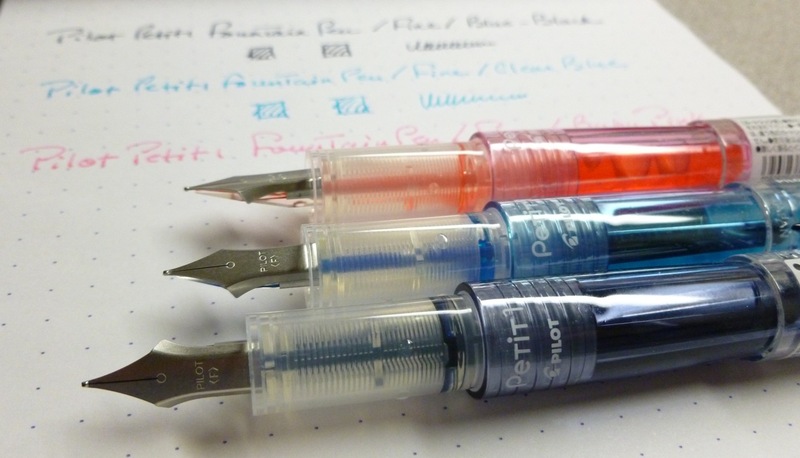 After writing with the Petit1 pens, it dawned on me that they’d be a really cool way to spread the fun of fountain pens and to enlighten the uninitiated. 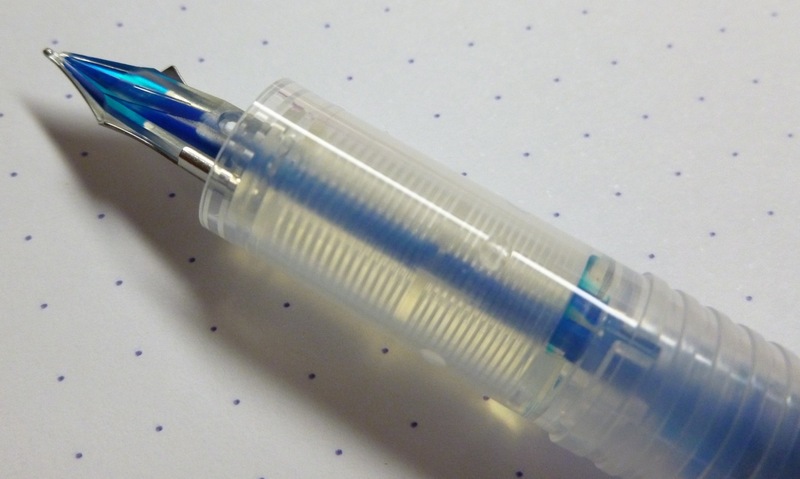 A fountain pen gateway drug, perhaps?! 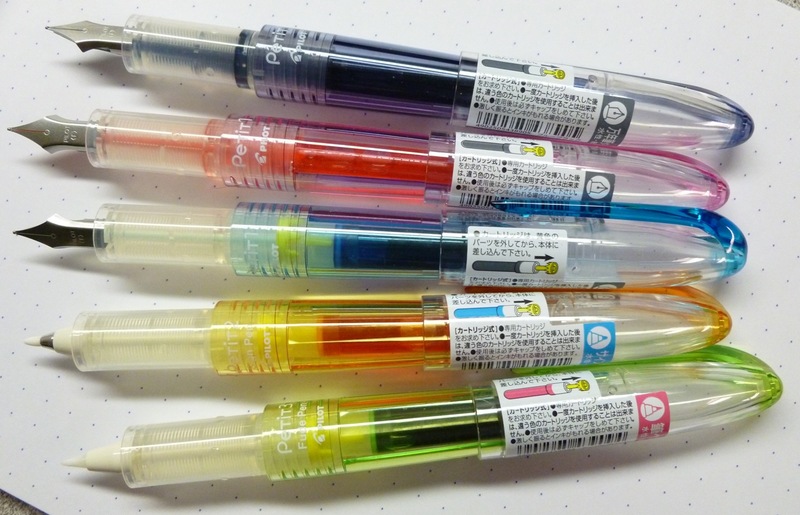 In addition to the colors shown here, pens/cartridges are also available in black, red, and blue. These would be my usual conservative choices, but wow, I’m loving that Apricot Orange. The body and grip are made of smooth and sturdy plastic. The clip is a little fragile and the grip can be a little on the slippery side, but this is just nit-picking. Hmmmm…he kind of had me on that one.